SENEGAL: Vestas will enter the Senegalese market by building and supplying its V126-3.45 turbines to the country's first utility-scale wind farm for Lekela Power. Developer Lekela had stated the 158.7MW Taiba N’Diaye project would consist of 46 3.45MW Vestas turbines and named the Danish company as engineering, procurement and construction (EPC) contractor, when it reached financial close for the project in late July. The manufacturer has now signed the EPC contract with Parc Eolien Taiba N’Diaye, a special purpose vehicle comprising renewable energy developer and investor Lekela and French developer Sarreole, confirming the order. Vestas added it will also provide operations and maintenance (O&M) services at the project for 20 years. 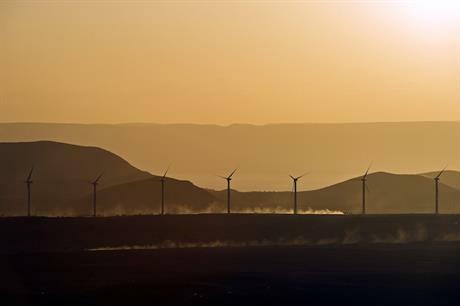 The project, which is situated in the Thies region in the west of the country, is in an "advanced stage of development and ready for construction", Vestas added. Turbine delivery is planned to take place between in mid-2019, and commissioning is expected between the third quarter of 2019 and the first quarter of 2020. Senegal currently relies largely on imported fossil fuels, the manufacturer added. In an interview with Windpower Monthly in June, Lekela CEO Chris Antonopoulos said investors could play a role in helping local communities across Africa when financing wind farms. He cited educating local workers so they were able to carry out future projects as an example of something developers and investors could do to leave a positive impact. Announcing the Vestas contract, Lekela’s chief operating officer, Chris Ford, said: "The project will create an impact that lasts for generations."